It’s definitely psychological…but it’s pretty amazing the sense of perspective a New Year brings. I suppose the trick is to hold on to that sense of perspective. It’s a (psychological) brand new slate! Last year I told myself…I was going to revisit an exhibition that I have already seen…it closes tomorrow and I saw it just before Christmas (and it was soooo gooood). But I realise I do not need to see it again. 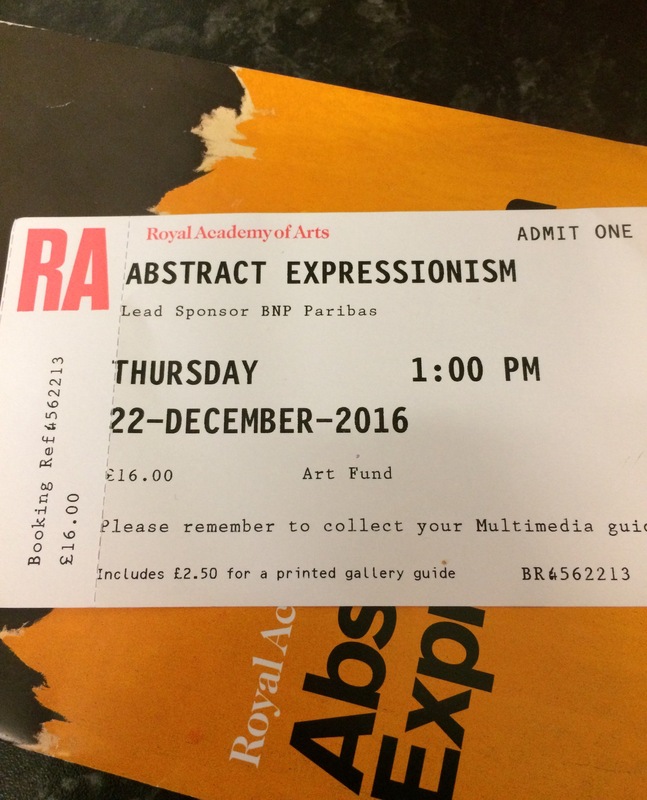 I saw Abstract Expressionism…I have always wanted to see a Pollock up close and I wasn’t disappointed. I saw Ad Reinhardt’s black paintings. Clifford Still just blew me away! And thinking about it now…(I kinda know why I want to see this exhibition again). I cannot get enough of it. So yeah…despite the sense of perspective this New Year brings…I realise it’s okay to have a ‘mind shift’ midway through a ‘way of seeing’ cos as much as it is a New Year it is simply another day. And just because I saw an exhibition last year doesn’t mean I can’t see it again. There are no hard and fast rules for resolutions brought on by a ‘new sense of perspective’. Life goes on and change should be an organic growth process…(not brought on by a change in the Gregorian calendar).